Located in the heart of Deira, the Hilton Garden Inn Dubai Al Muraqabat serves as a contemporary base during your time in Dubai. Guests of this 4-star hotel can enjoy a dip in the temperature-controlled rooftop pool, which provides some spectacular views of the city, or indulge in delicious meals at any of the three on-site restaurants. The rooms at Hilton Garden Inn Dubai Al Muraqabat are stylishly decorated, with relevant amenities to ensure all guests have a pleasant stay. When guests aren't relaxing with a sunset cocktail from the popular Garden Bar, the resort's nearby tourist attractions make for a great pastime, with Dubai Creek, Gold and Spice Souks, Jumeirah Beach and the metro station all a short distance away. The hotel is ideal for leisure and business travellers as it's located close to the Dubai Creek, in Deira District. The Dubai International Airport is just 5km away, and there are popular attractions to explore nearby, with the Historic Village at 7.5km, the Spice and Gold Souk at 7km and 4km, respectively and sandy Jumeirah Beach just 5km away. 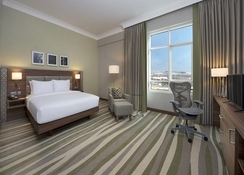 The 179 rooms featured at the Hilton Garden Inn Dubai Al Muraqabat are categorised into two types King Rooms and Twin Guest Room and spread over eight floors. 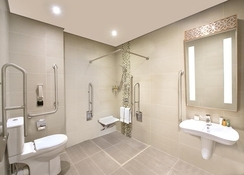 Both room types are perfect for guests who wish to relax in comfortable surroundings. Guests can sleep on a Serta Perfect Sleeper bed and enjoy the complimentary WiFi and HDTV. Rooms feature comforts such as a mini-fridge, adjustable air-conditioning and tea/coffee making facilities. If you're travelling with a family and require extra space, you can upgrade to a one-bedroom suite, which has a separate living area to accommodate a sofa bed or a crib. 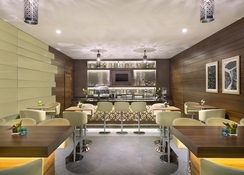 Choose from Hilton Garden Inn Dubai Al Muraqabat's three restaurants, each serving various cuisines. The Garden Grille & Bar offers freshly prepared breakfast, lunch and dinner, while the Pavilion Pantry is a 24-hour convenience pantry. Don’t feel like stepping out of your room? Well, you are in luck! 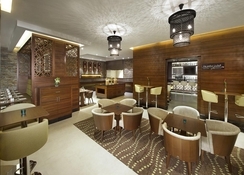 The Hilton Garden Inn Dubai Al Muraqabat offers 24-hour room service with in-room dining facilities. Don’t forget to visit the Garden Bar, which is the best spot to relax during the evening with a cocktail or mocktail in hand. 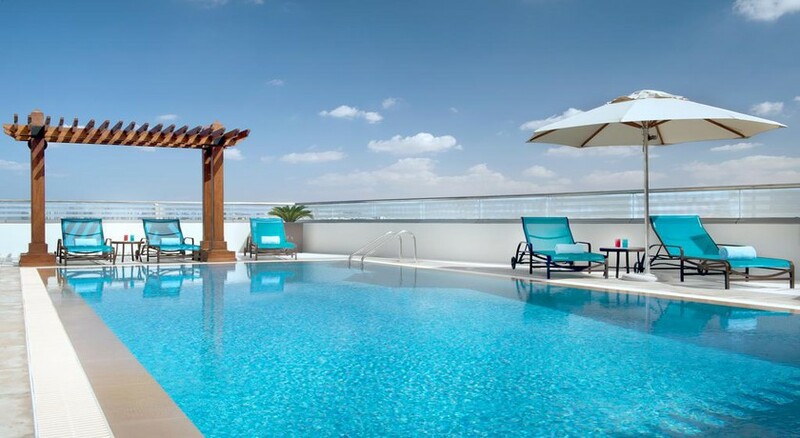 Guests can stay productive during their stay at the Hilton Garden Inn Dubai Al Muraqabat, as the hotel offers a temperature-controlled rooftop pool which guests can relax by. 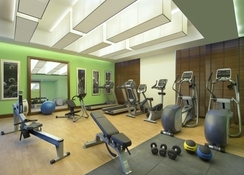 The 24-hour fitness centre is also available if guests wish to stay active during their travels. Fantastic service. Nothing to much for the staff to do for you. Great location, easy to access tourist attractions and not far from the airport! Would definitely use this hotel again.